12 Days of Christmas: recipes to extend the Christmas cheer! 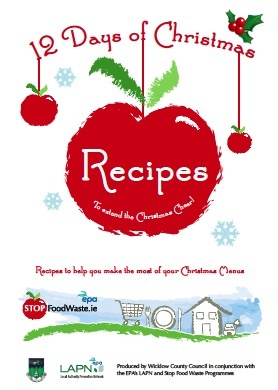 This book of Christmas recipes was developed by Wicklow County Council with support from Stop Food Waste, to support householders in reducing food waste at Christmas. PDF, 28 pages, 4.5MB.